Hisco opened Hisco Pump South to better support its growing customer base in the Southeast. As a division of Hisco Incorporated, Hisco Pump South works to provide the highest value for our customers and find the best possible solutions to their needs. Hisco has been providing industrial pumps and replacement pump parts since 1976. From o-rings to casings, from bare pumps to complete pump units, Hisco South has you covered. We supply pumps and parts for over forty manufacturers at substantial savings. Hisco has more parts available for more brands and more sizes of pumps than any other replacement parts provider. We are the best at getting you what you need when you need it. 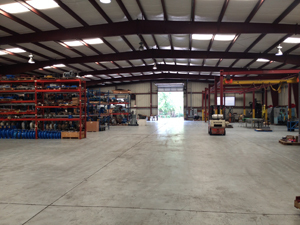 Our service and repair facility provides quality repairs in a timely manner to reduce downtime. We take pride in assuring our customers are satisfied with our service and warranty every job that leaves our facility.